The Opis tablet 9.7 pro garde was designed to complement form and function of the iPad pro 9.7´´. The outer surfaces are clad in exclusive genuine leathers that are processed to retain their natural and individual structure. Every Opis Technology iPad pro 9.7 smart cover thus assumes its unique character. 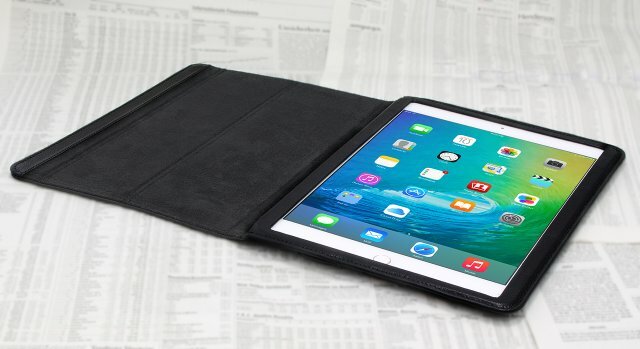 The special padded leather exterior securely protects your iPad against drop and bump damage, while the front flap with its hidden magnets keeps the display safe from accidental damage like scratches from keys, coins or other objects. All postions for buttons, connectors and speakers are cut-out: this ensures access at all times. The ultra-stable, elegant Opis magnetic stand allows for two modes of iPad use: you can set it up to be slightly inclined for easy typing as well as more vertical so that you can enjoy films, fotos and presentations. The positioning and type of stitching are selected not only to serve as a stylistic element, but as with all other components of the Opis Apple iPad pro 9.7 case in leather, ensure its durability and longevity. 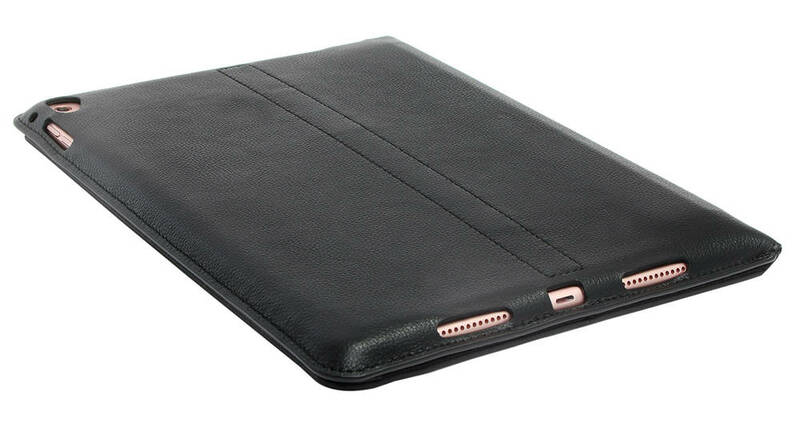 PRODUCT TYPE: This is a leather smart cover for the iPad pro 9.7 in black. 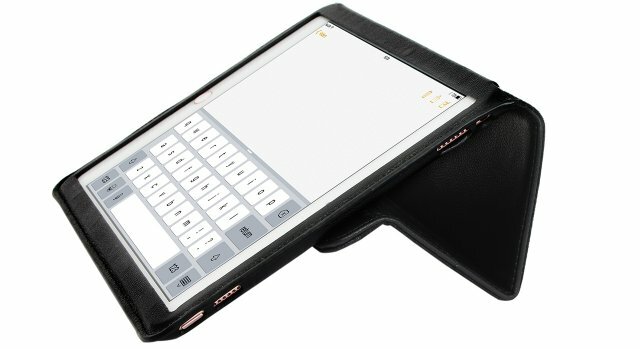 In other words it is a genuine leather case for the iPad pro 9.7 that can be opened and closed like a book and automatically puts the iPad to sleep when in the closed state. 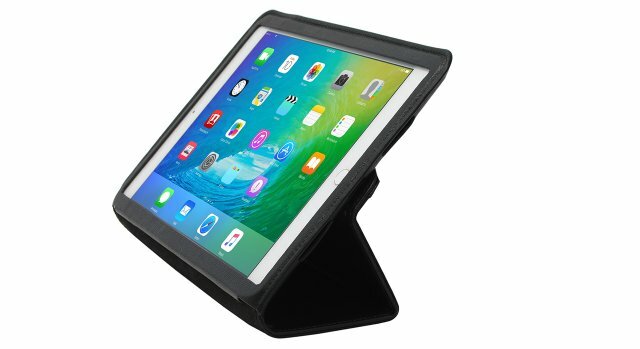 THOUGHT ALL THE WAY THROUGH: While other iPad leather flip cases tend to fall over when using their stand function, the Opis magnetic stand is ultra-stable. 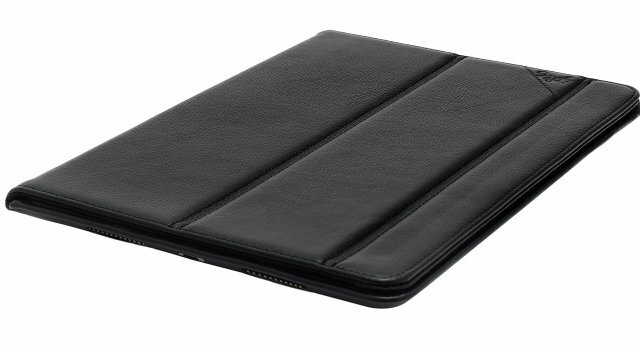 The seams of the Opis genuine leather iPad case are designed in such a way that they not only look good but also last long. In addition to speakers and sockets all buttons are also cut-out and easily accessible. TOP GRAIN GENUINE LEATHER: The outer surface of the leather iPad pro 9.7 case is exclusively made from top grain cow leather. Depending on the model, the leather characteristics differ. Black 1/2 and Red: This iPad leather case conserves the natural irregularities of the surface structure. The surface is sealed to make it scratch resistant and feels sleek but structured. Cognac: On this iPad leather case the surface structure has been smoothed and sealed. The surface feels slick and is minimally scratch-resistant: pointed objects such as fingernails can alter it. This is intentional and over time leads to an intricate pattern. Nature: On this iPad leather case the surface structure has been smoothed but not sealed. It feels velvety-soft to the touch. The appearance changes over time as scratches happen easily. In addition the leather will darken with use. In this way every case eventually becomes a unique piece of art. PERFECT PROTECTION: This iPad leather case with stand is slim but at the same time invisibly padded and perfectly fitted to the dimensions of the Apple iPad pro 9.7 inches. 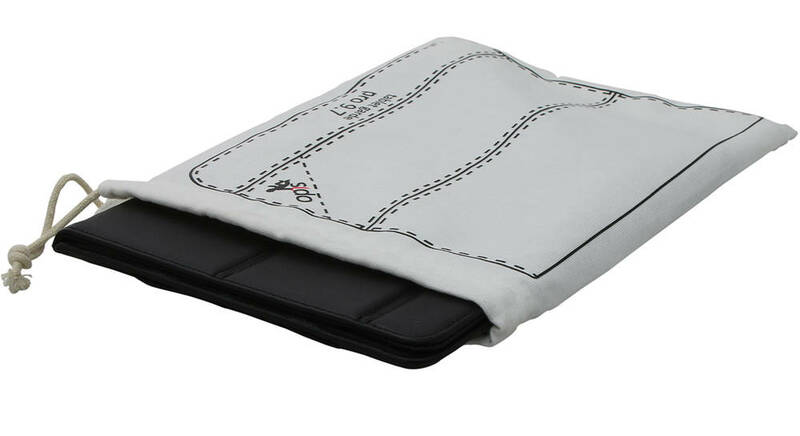 Putting the iPad in and removing it from the iPad leather pouch are child´s play. Once inserted a velcro lock ensures that the iPad does not slip and remains in safe and secure in its protective cover. UNIQUE DESIGN: The elegant seams and the discreet positioning of the Opis Technology logo on the front flap of this iPad case (leather in black colour), combined with the impressive leather quality, ensure that this genuine leather iPad case is a true eye-catcher.